Dr. Winter addressing an international meeting on sports performance at Leaders Sports Performance Summit in London, England. Chronotype as a Predictor of Performance in Major League Baseball Batters. Chronotype as a Predictor of Performance in Major League Baseball Pitchers. Measuring Circadian Advantage in Major League Baseball: a 10-year Retrospective Study. Excessive Sleepiness in Division I-A College Football Players: A Pilot Study. Tracking ‘Circadian Time’ as a Statistic During the 2004 Major League Baseball Season: A Pilot Study. Sleep Fragmentation and Morning Cerebrovasomotor Reactivity to Hypercapnia. Post Sleep Reduction in Cerebral Blood Flow Velocity is Independent of Preceding REM vs NREM Sleep. Sleep Apnea in Obese Miniature Pigs. Lateral Pharyngeal Fat Pad Pressure During Breathing in Anesthetized Pigs. Enlargement of the Lateral Pharyngeal Fat Pad Space in Pigs Increases Upper Airway Resistance. Dr. Winter was the keynote speaker at the Robertson Center's "The A,B,Cs or ZZZ on February 7, 2019. Dr. Winter was the invited keynote speaker for the June 19, 2018 ISD Symposium at the FBI Academy. Dr. Winter spoke at the first LinkedIn Sleep Fair in New York City on March 24, 2017. This was also the debut book signing of The Sleep Solution: Why Your Sleep Is Broken and How To Fix It. Dr. Winter was the moderator of the National Sleep Foundation Sleep Works Summit: Sleep in the Workplace panel at the 2016 EH Congress. Dr. Winter was featured speaker at the 2015 Maine Primary Care Association Conference in Bangor, Maine on October 21, 2015. Dr. Winter will be a speaker at the 2014 Sport Performance Summit November 12-13 in London, England. His topic will be how sleep relates to New Frontiers of Performance. For more information please click here. For a video interview with Dr. Winter from the Leaders Sport Performance Summit in London, click the video link below. 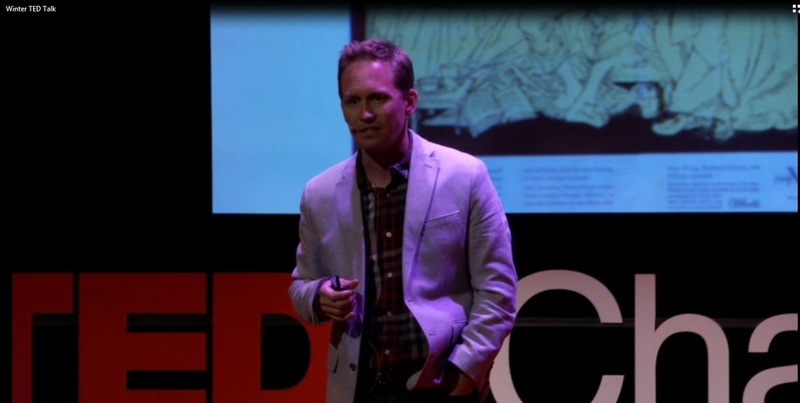 Dr. Winter was a selected speaker for the TEDxCharlottesville open mic night on October 13, 2014. See his talk by clicking the link below. Dr. Winter was an invited lecturer during the 2014 VASM conference and presented, "Sleep Medicine and Professional Athletes: What Have We Learned?" Dr. Winter presented "Predicting Major League Baseball Player Longevity With Sleepiness Data"
at the 2013 Sleep Conference in Baltimore, Maryland. Dr. Winter presented, "Sleepiness as a Predictor of Draft Value in the National Football League" at the 2012 Sleep Conference in Boston, Massachusetts. Dr. Winter was a featured speaker at the Global Business Travel Association's 2011 GBTA Sports Conference July 21-22 in Indianapolis, IN. Read the press release here. Dr. Winter spoke at the third annual conference of the Collegiate and Professional Sports Dietitians Association in Scottsdale, AZ. He spoke about the role of sleep in athletic recovery. Dr. Winter presented "Sleep and Sport: The Application of Sleep Science to Elite Athletes" at the 2010 2nd Annual Virginia Academy of Sleep Conference in Short Pump, VA.
Dr. Winter presented, "Chronotype as a Predictor of Performance in Major League Baseball Pitchers" at the 2010 Sleep Conference in San Antonio, TX 2010. Dr. Winter was invited to the 2009 Professional Baseball Athletic Trainers Society winter meeting in Las Vegas Nevada where he presented the findings of his 10-year Major League Baseball funded study on circadian advantage. Dr. Winter presented 2 scientific abstracts entitled "Measuring Circadian Advantage in Major League Baseball: A 10-Year Retrospective study" and "Relationship Between Weight and Neck Circumference and Sleepiness in Division I-A College Football Players". Dr. Winter spoke at the 2008 Virginia YPO regional meeting. Dr. Winter gave a presentation entitled, "Diagnosing and Treating Common Sleep Disorders" at the 2008 VAPA conference. In 2007, Dr. Winter was invited to present his findings in a study entitled, 'Excessive Sleepiness in Division I-A College Football Players: A Pilot Study' at the APSS meeting in Minneapolis, MN. Dr. Winter was a speaker at the 2007 YPO Family Meeting in Hershey, PA.
Dr. Winter presented at the 2007 University of Virginia Department of Endocrinology's "Managing Diabetes" conference at Williamsburg's Kingsmill Resort. In 2005, Dr. Winter was invited to give an oral presentation entitled, "Tracking Circadian Time as a Statistic During the 2004 Major League Baseball Season: A Pilot Study" at the APSS meeting in Denver. “Effects of Sleep Deprivation Versus Sleep Fragmentation on the Morning Reduction in Cerebral Blood Flow Velocity” Las Vegas, Nevada, in June 2000. In 1999, Dr. Winter presented his novel model for teaching medical students neurology at the American Academy of Neurology Meeting in Toronto, ON.